We’ve discussed at some length how President Trump destroys everything he touches. Trump’s own damaged, malignant personality is no great mystery. The world has no shortage of malicious predators or others who are so damaged that they sow chaos and hurt wherever they go. It’s our national misfortune that Trump has attained such power. But the existence of such a person is no mystery. There’s no shortage of them. What is difficult to understand, what requires some explanation is the way Trump is able to destroy those around him. Not once or twice but again and again, repeatedly, in a pattern so consistent that it becomes more inexplicable over time as new victims appear insensible to the unmistakeable pattern they have seen unfold along with us. This may be unremarkable with the toadies and acolytes. But Trump is able to take people of some apparent substance and attainment and destroy them as well. The key though is that he doesn’t destroy them. In his orbit, under some kind of spell, he makes them destroy themselves. It is always a self-destruction. He’s like a black hole. But for this there’s no ready explanation. Because what is the power? The force? This seems most palpably the case with the political evangelical community with which Trump has maintained, since early in his campaign, a profound and profoundly cynical mutual embrace. 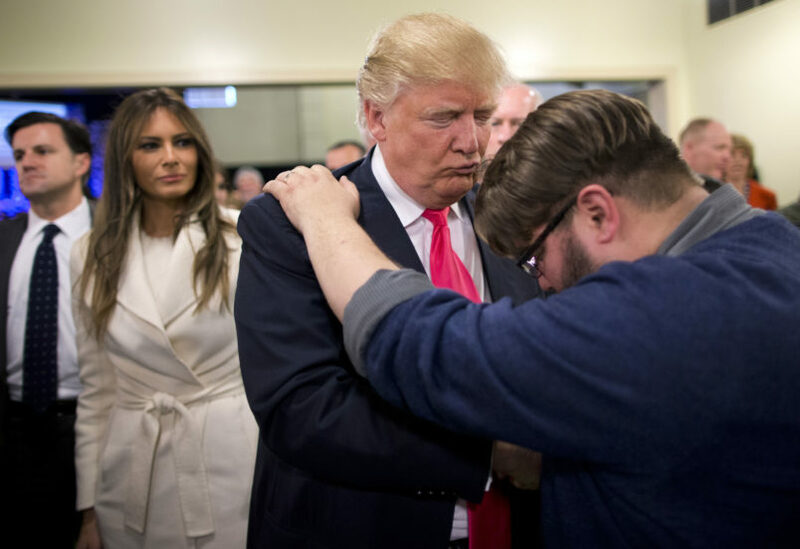 Here I use the term advisedly: I don’t mean evangelical Christians or even conservative evangelical Christians but the evangelical right political faction, which is distinct and different. Nothing I have seen before has more clearly revealed this group’s moral rot than the adoration of Trump, an unchurched hedonist with the moral compass of a predator who is lauded and almost worshipped purely and entirely because he produces political deliverables. But it’s not just them. It’s a general malady. Trump is exposing our collective rot. The rotten flock to him. And there’s so much rot to go around.